When Harris was a guest on CBS's The Late Late Show with Craig Ferguson last Friday, Ferguson casually remarked that Harris would be really good at hosting a TV talk show. Harris thanked him, but revealed he had another secret TV-related career goal in mind. "I want to do an Ed Sullivan-y kind of show, with all the variety acts," he told Ferguson -- which launched them into a discussion of whether a variety show could work on TV in the 21st century. Ferguson was doubtful, but Harris said that if the featured acts did only the best of their best, it'd be as addictive as You-Tube. 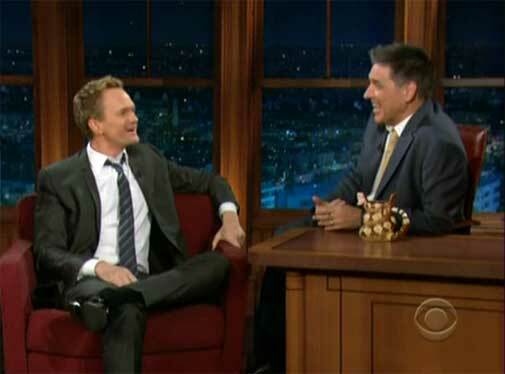 "I wonder if today's TV audience is going to accept it -- even from you, Neil," Ferguson said, sounding like a wise uncle. "Well," Harris replied, smiling and shrugging, "I don't have a show that does it, so I have no idea." Actually, Harris has HALF an idea. The variety show as You Tube, with fast-paced bits of truly varied acts of entertainment, should be one element of a reinvented variety show. The other part, though, isn't to emulate Ed Sullivan, a talentless host who just booked and introduce acts. Harris should think more along the lines of the classic musical-comedy variety shows, where there were comedy sketches and musical segments as well, and where guests, after performing solo, interacted with their hosts. Neil Patrick Harris, if I may be so bold, should think along the lines of The Smothers Brothers Comedy Hour. Harris is a wonderful singer -- I saw him on Broadway in Assassins and Cabaret, and can't wait to see him sing Company in New York in April -- and a razor-sharp comic actor, which he's proven time and time again on screens large and small. Who wouldn't want to come on TV and romp in his playground? CBS should begin with one star-studded special, with the understanding that if ratings are good -- and they would be -- it's a quarterly gig, which Harris ought to manage while his How I Met Your Mother sitcom remains in production. And CBS should shoot for the moon, and schedule it on Sunday nights, just where Ed Sullivan reigned for decades. Neil Patrick Harris has delivered a Monday night sitcom hit for CBS, and has behaved impeccably, like an ambassador of quality entertainment (hosting the Tonys! The Emmys! Guest-starring on Glee! 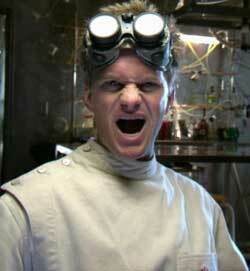 Starring in Dr. Horrible's Sing-Along Blog!). Compare that, CBS, to another of your Monday-night sitcom stars, who was just fired for very public misbehavior. Then ask yourself: Which one has given you a CBS Black Eye, and which one deserves to have his showbiz wish come true? It's a wish that could give you another strong hit -- and slotted after 60 Minutes, the perfect lead-in, how could you not roll the dice and try? 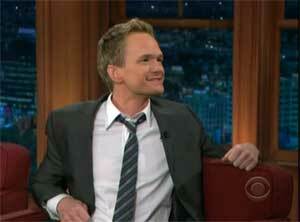 Neil Patrick Harris deserves his shot at reviving the TV variety show. And you know what? Audiences deserve it, too. I told you so in 2009... and now Harris agrees. All I could think while watching the Academy Awards was that I wished it were being hosted by NPH. He's like Midas -- everything he touches truly turns to gold. It's so nice to see a former "tween star" mature into such a delightful, uncomplicated adult. There are so many in Hollywood who should be following his lead and not their own different drummer. Have been thinking about this premise all afternoon. Neil would make an excellent "Carol Burnett"-type host. She would never outshine her guests, but rather use them to their full potential in skits which were great. And they always had a "solo" moment to sing, dance, whatever their particular talent and expertise. Carol attracted, as Neil certainly would, the Hollywood A-List Talent on her show. He seems to be so well respected on both coasts that I'm sure he would have people asking him if they could be on his show. David, what about Ellen DeGeneres' annual cable variety show? She went from stand up to sitcom to a light daily talk show with the annual variety show on the side and never embarrassed herself. Now, is she the talent that Harris is? Well,she HAS pulled this off and he COULD pull it off. For one who avoids AI, Dancing with the Stars, Last Comedian Standing,etc. as any MTV reality show, I'd tune in to give this a chance. I don't want viewers with cell phones deciding what is good, but a true talent coordinator,able to shift through what's out there, is needed to pull this off. Filters serve a purpose. Hey, isn't that your job, too? And Harris singing "Being Alive" from "Company"? Maybe,at long last, this diamond will shine to a larger audience than the Sondheim fans that consider this possibly his best. It's just crazy enough to work. After all, "Glee" isn't that far from a variety show posing as a situation dramedy. Comment Part Deux. Maybe Harris' touch isn't go golden after all. I just saw the trailer for the new Smurfs movie. It's such a rip of the Alvin/Chipmunks franchise that the best description is that Harris plays the David Seville part. CGI 3D Awful. Fish out of water script, toilet humor, substituting the word "smurf" for the Carlin seven naughty words (even the movie web site is "smurfhappens.com",honest) and Smurfette posing a la Marilyn Monroe over an air grate-ugh! Oh,and the director of those Scooby-Doo-Doo movies is involved. Sony has now buried this film to an Aug 3rd release, a failure slot second only to Labor Day weekend. Originally scheduled against that horrid "Yogi Bear" mess in Dec. (which made money,boo hoo, Boo Boo), the beginning of August is prime family vacation time and only a rainy day can save this from getting flushed in that same toilet used for much of the humor. Letterman's retiring! Let's hope we finally get to see this next year!